As our Wheel of Life series has finished up, I'm still trying hard to keep on top of the goals that I made in the beginning. Some of them are easier to incorporate than others. I know that most of us had 'getting healthy' as a goal, and today, Melanie from My ISP Finder has some tips to help us with our struggle. One of the biggest reasons people fail at weight loss attempts is because they go into it with an all or nothing attitude. They religiously hit the gym for intense workout sessions 7 days a week, cut out all junk food, and limit their food intake, right up until they hit a wall and end up skipping the gym and bingeing like crazy one day. The problem isn’t that they can’t handle a healthier lifestyle; it’s that they tried to do too much too soon. 1. 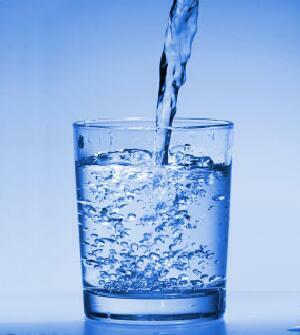 Start drinking more water. Sodas, fancy coffees, and other calorie-laden drinks have become such a normal part of our lives that it’s easy to forget that they are loaded with extra sugar and calories that do nothing more than help expand our waistlines. Start by cutting out one soda or Frappuccino a day and replacing it with a glass of water, and slowly keep eliminating the caloric drinks and swapping them with water, until you get to the point that drinking a lot of water and avoiding those other sugary drinks is normal and not unfeasible. 2. 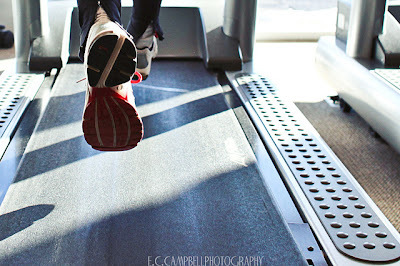 Gradually increase your exercise. If the most exercise you get each day is standing up and walking to the refrigerator or bathroom, then jumping into an intense exercise routine is only going to result in burnout. Instead focus on adding in three days a week where you walk or bike ride 20-30 minutes a day. As your stamina increases you’ll be able to add in more exercise as necessary. 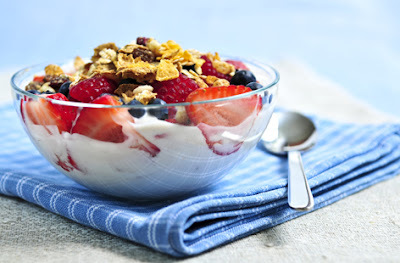 One of the biggest mistakes that people trying to lose weight make is skipping breakfast each morning. While in theory it seems like it would help you lose weight, all it really does is make you overeat come lunchtime because your body is famished. Instead, start your day with a bowl of oatmeal and berries or eggs, ham, and a piece of fruit. This will help you jump start your metabolism for the day and help you not overdo it when lunchtime rolls around. Our bodies function best when we’re well-rested. Getting enough sleep each night gives us more energy to go through both our workouts and our normal daily activities. Depriving it of sleep just results in feeling sluggish and less focused, which can result in skipped workouts and mindless eating – both of which will cause weight gain. 5. 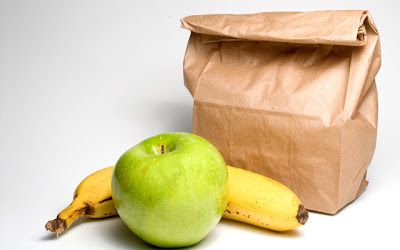 Brown bag your lunch. A lot of unnecessary calories come from eating restaurant fare for lunch every day because you can’t control the portion sizes or what the meals are cooked in or with. Bringing your lunch, even if it’s just a few times a week, will help you control what you’re eating and allow you to make healthier choices. Making small, manageable changes makes getting healthy much less overwhelming then the typical all or nothing approach that so many people take. These little changes will add up to big results, and you’ll find yourself happier, healthier, and more energetic after just a few weeks of implementing them. Melanie Slaugh is enthusiastic about the growing prospects and opportunities of various industries and writing articles on various consumer goods and services as a freelance writer. She writes extensively for internet service providers and also topics related to internet service providers for presenting the consumers, the information they need to choose the right Internet package for them. She can be reached by email here. A big thank-you to Melanie for her healthy tips. I am always struggling to get enough water in during the day. Which recommendation do you feel you need to add to your routine? All great tips!!! I need to make sure I get enough sleep. I've pretty much covered the rest. I could certainly do better at eating a healthier breakfast. Or just eating breakfast at all!! And the sleep thing.....well...you know! Great tips! I definitely need to work on drinking more water. Fab post! Water is one of my minimal requirements for self care. Once I started to realize it was a self-care item--felt more like a luxury--making it something I wanted to do. :) T.
I totally agree with the water one! I was doing good for a while, but I fell off the boat haha. Time to get back on! Water. It's amazing how that changes things...I started drinking zero to a very small amount of soda a week and ALL water. :) I never thought I'd be able to do that! All great things to do! I drink lots of water and always have a good breakfast. And, I sleep too well! LOL! The one I have to start doing more of is exercising!